CINet, the Creative Industries Network of Entrepreneurs, is a research project in innovation and creative entrepreneurship within the Lifelong Learning Programme, Leonardo da Vinci, of the European Commission. The research team involved in the CINet project will identify transferable lessons from the creative entrepreneurial community that gravitates around the Lace Market in Nottingham, UK, and transpose them -with due adaptation- to specific localities in Greece, Portugal and Spain. The concept of creative industries emerged in the UK during the 1980s (see, for example, Hartley, 2005) in recognition to the growing economic contribution of diverse and interdependent activities related to the generation and exploitation of knowledge. These activities include, yet are not limited to: advertising, architecture, arts and crafts, broadcast media, computer gaming, design, film and video, gastronomy, leisure, press and public relations, and publishing. 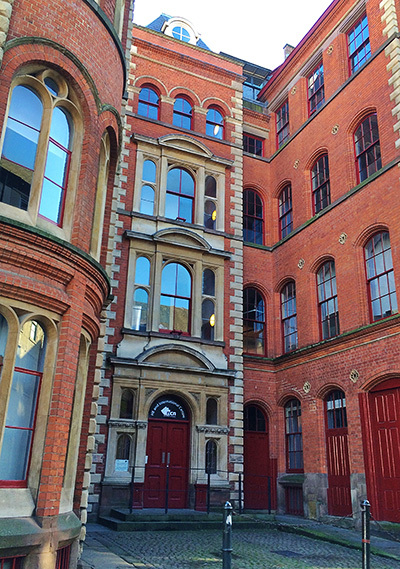 Nottingham’s Lace Market is home to a complex creative ecology, in which creative entrepreneurs, firms, institutional actors, and cultural consumption co-exist with varying degrees of interdependence. This was first described by Jim Shorthose in a series of research papers on the Lace Market some ten years ago. More recently, Nottingham’s creative industry was examined by the Organza project, funded under the EU’s Interreg Programme. Nottingham’s creative sector is based on a complex ecology of both businesses and institutional actors, which research has underexplored. Nonetheless there is ample evidence on which to base the proposition that creative businesses enjoy potential collaborative advantage in that they gain access to formal, targeted business development and learning opportunities combined with peer networking and co-operation. Also, evidence from the UK – which is at the forefront of European policies and practices in supporting and developing creative industry clusters – shows that creative industries provide great potential for economic growth, and employment. By contrast, in Mediterranean countries such as Greece, Portugal, and Spain, ‘cultural’ networks of entrepreneurs still present a considerable potential but also a weaker dynamic. Even though creative entrepreneurs have talents with potential, networks lack a human resource ‘critical mass’ for quality business projects, and there is not an effective collaboration among entrepreneurs. In turn, the almost absence of network dynamics affects business survival and success. The CINet project aims to contribute to fill this gap by identifying transferable lessons from the learning environment established around the Nottingham’s Lace Market. And this will lead CINet to support the development of a creative entrepreneurial network for three Southern European countries: Greece, Portugal, and Spain.